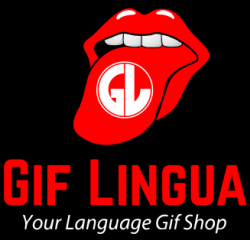 Gif Lingua is now open for business! It’s beta but Gif Lingua is open and ready for teachers and students. I hope you enjoy it and we are just taking the first steps in what’s going to be a wonderful journey building the site. We’ll need everyone’s help in doing so. Teachers can register and write books that can be read on any device. It’s very easy. Also download books as a powerpoint. See the Help section for all questions about using Gif Lingua Books. I’m offering free EFL Classroom 2.0 membership for any teacher that writes 10 books. Just send an email to david@giflingua.com with “I Did It!” in the title. All teachers making books in this first phase of the site will get lifetime benefits and access. I’ll have some tutorials up soon about making books – but just follow the steps in the book builder. I’m firmly committed to building this platform and ultimately a complete corpus based on gif images. From this corpus, all languages could ultimately be learned. I believe gif images to possess the strongest of qualities as a “learning object” and see the presentation below outlining in brief some of the reasons. As far as extensive reading goes, Gif Lingua rocks! I’ll be writing more on the Gif Lingua blog about using gifs in teaching, getting students sharing and learning through gifs and all information about the platform’s development (this start is just a tiny part of what will be built). Also about making books as quality ELT materials – how to. Enjoy using Gif Lingua and Gif Lingua Books. Appreciate any feedback through the user forums.